In the third incident targeting the religious minority, another house belonging to a Hindu family was allegedly set on fire in Bangladesh, which goes to general elections on Sunday, 30 December. The house of Ananda Chandra Barman at Jhapartali village in Thakurgaon Sadar Upazila caught fire around 10 pm on Thursday, bdnews24.com reported, quoting area fire service station master Mofidar Rahman Khan. “I saw my house on fire and I smelled petrol. The huts burned down in five to seven minutes,” Barman told the news website. 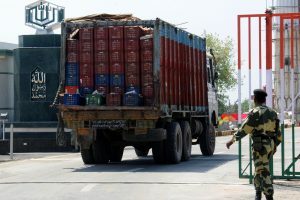 “Someone used petrol to set my house on fire to scare our Hindu community and keep us away from voting in the upcoming election,” he added. 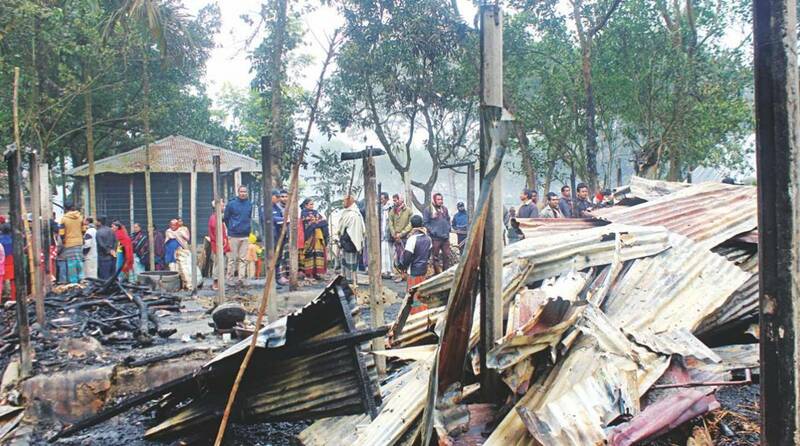 According to local media reports, several Hindu homes have been torched in Thakurgaon since last week. On Friday (22 December), unknown criminals set eight houses belonging to Hindu families on fire in Thakurgaon between 4:30 am and 5 am when those living inside were asleep, The Daily Star reported. While the attackers first set one house on fire, it engulfed adjacent seven houses soon. Quoting Krisna Ghosh, one of the victims, the report said though the family members escaped unhurt, the fire killed seven goats, destroyed 60 maunds of paddy and all furniture. Four days later, Jakru Barman’s house at Madhyajhaoghar village at Akhanagar Union was gutted. While the are investigating the incidents, political parties traded blame, alleging the attack was carried out for creating panic among the local Hindus ahead of the December 30 polls. According to a bdnews24.com report, the Rapid Action Battalion (RAB) set up a camp in the neighbourhood to ensure safety of religious minorities after the 22 December incident. The latest case of arson in Thakurgaon took place despite the presence of RAB in the area. Speaking to the website, RAB Director General Benazir Ahmed said: “The attacks on religious minorities ahead of the election are a disgrace to the nation.” He urged people to assist them to find the miscreants and bring them to book.